What kind of a meal do we have when we get home at 6:45 and realize we never thought about what to make before then and it’s like a million degrees outside so you don’t want to turn on your stove? 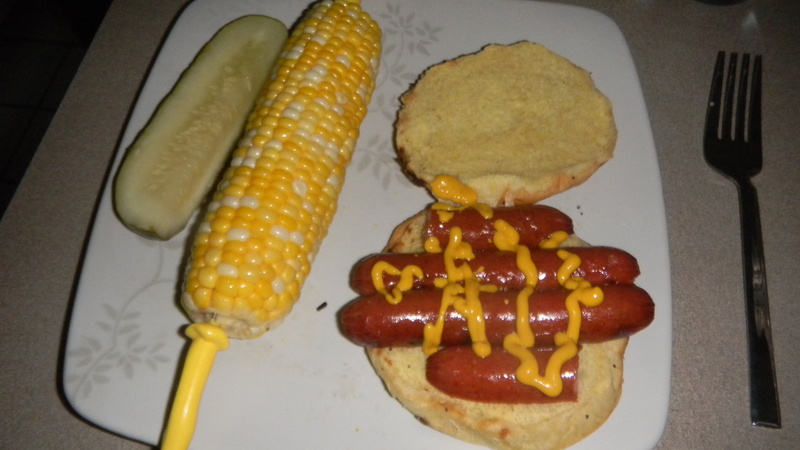 Yep, that is sliced hot dog on a hambuger bun. It’s what we had in the fridge. We had the corn too, and it was probably about a day or two from going bad, so yay us for eating it in time. We have a great way of grilling it. 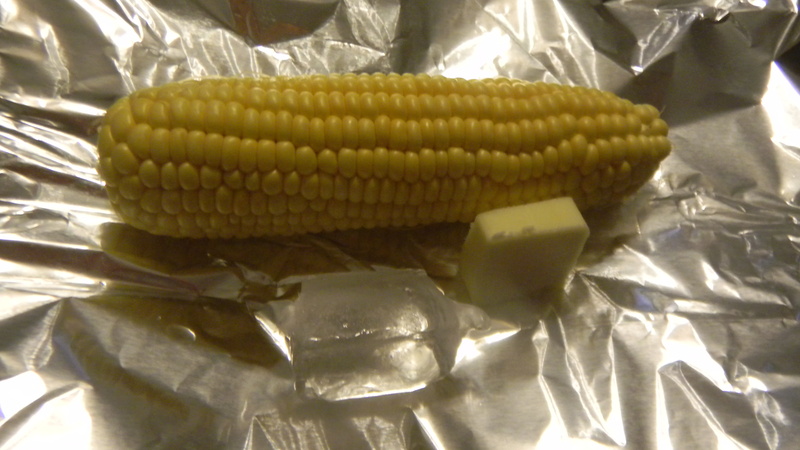 Take the cob out of the husk and wrap it in tin foil with a pat of butter and an ice cube. Grill it up and it comes out super moist and flavorful. We add salt and pepper and call it a day. Only a few days later, we found ourselves in a similar predicament – lazy, and needing to use up what’s in the fridge. 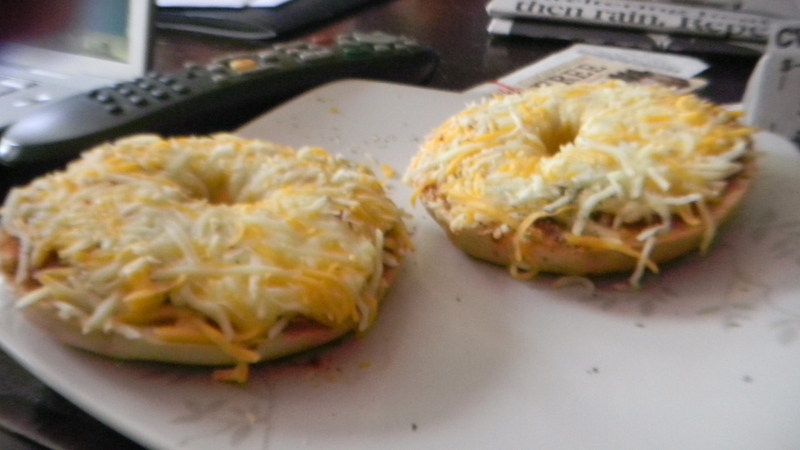 This time, we went with pizza bagels. I should note we had pizza bagels that day for both lunch and dinner. Not sure if that makes it better or worse. Have you ever had a weird quick meal, like these? Thanks, Cindy! I have to say, the sliced hot dog idea was all Dan’s. He must have gotten it from you guys. Thanks!